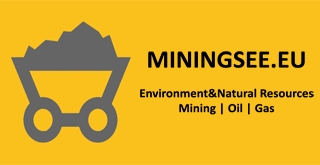 Within the project “Environmental Protection and Improvement in Kolubara Mining Basin“, worth 182 million eur in total, for the part financed by the German Development Bank (KfW), tenders for coal quality management equipment (packages C1 to C3) have been announced, whereas for the spreader 12000 m3/h (package B), the company Sandvik has been chosen as the best bidder after the complete procedure was finished. When it comes to the package B, at the end of November 2014, the contract was signed with Sandvik, which has submitted the most favourable Bid for the manufacture of spreader. Sandvik’s Bid is by one million euros lower than the budget envisaged by the KfW bank for this part of the project. The price of the spreader quoted by Sandvik is around 18.5 million euros, whereas the envisaged budget amounted to 19.6 million euros. Considering that a favourable price has been achieved in fierce competition, the tender can be judged as very successful – Dr. Darko Daničić, manager for the part of the project financed by the KfW bank. The spreader that will be delivered within the package B, with the capacity of 12.000 cubic meters, will be the biggest spreader in Kolubara. At this moment, the biggest spreader has the capacity of 8.500 cubic meters. The manufacture of the spreader includes the preparation of basic engineering, i.e. the basic draft of the machine. The experts of “Kolubara” will be included in this process and they will be able to state their proposals and requirements. We approve the suggested solutions, with the help of the consultants appointed by the bank, and in this package, it is the consortium Mibrag – RWE – says Daničić. The same as in the part of the project financed by the EBRD bank (conveyor system for the Field C), every protocol needs to be signed by all three parties – the contractor, the consultant and the project manager on behalf of Kolubara, which means that an agreement needs to be reached about every part of the project. After this phase, there is the phase of detailed engineering, and the production of parts begins simultaneously, whereas the mounting at the location of the plant itself begins after the acceptance of equipment at the contractor’s. The condition for obtaining the certificate of completion is the proof of plant capacity and of all required technological capabilities. With respect to the package C, which refers to stockyard expansion and coal homogenization, the tender for the C3 part of the project was announced on 19th December 2014. Bids were opened on 6th March. Five bids have arrived and they are undergoing evaluation. This is the most complex part of the package, considering that it includes conveyors, a crusher, the equipment in the stockyard itself – two reclaimers and a stockyard stacker, magnetic separators and the de-dusting equipment. Although this system has the possibility of manual control, it will be primarily manufactured with automatic control. The tender for the package C1, consisting of software, hardware and online analyzers, was announced on 2nd February and the purchase of documentation by interested companies is underway. The tender for the package C2 (construction works – stockyard, the foundations of the crushers, the towers) was announced on 18th February, according to the envisaged schedule. For the complex coal quality management system to start working, the people who control it need to gain certain experience. The responsibility of the dispatcher should be particularly emphasized, as his/her role will be changed and he/she will be making the most important decisions. Before this, according to the bank’s regulations, the capacity and quality of coal in the crushing plant needs to be proved, and the coal quality at the output must be in accordance with the prescribed values. So, the software is responsible for the production of coal that has a specific heat value. The coal quality homogenization system represents a pioneering undertaking in Serbia, considering that nothing similar has been done so far. Essentially, it was required due to the many various parameters related to the deposit, particularly in the coming years when the excavation on a deposit with many more interseams is expected, so the software must predict all technological conditions in the mine and enable reaction from the control room. The online analyzers will be set up on all excavators, so that, at any moment, the dispatchers will know the quality of coal excavated by an excavator, and they will also have the information from the aggregate conveyor. The dispatcher will give orders to the excavator operators about how, where and at which capacity to continue excavating so as to obtain the required quality of coal which, in the first case, will go directly to the loading point if it satisfies the required parameters – Daničić explains. The second possibility is to dispose a part of the coal in the stockyard, where the coal of various qualities is disposed according to the previously determined schemes, so that the quality of coal could be precisely determined during the reclaiming. Owing to coal homogenization, Kolubara will be able to use one more million tons of coal annually, with the same capacities, whereas the benefits for power plants are even bigger. In addition to this, the emissions of harmful gases will be reduced significantly. Considering that the coal quality management project is an innovation which the employees of MB Kolubara have not had a chance to encounter, a training for the employees and the management of “Kolubara“ and the EPS has been organized. The training plan has been prepared by the consultants, who have envisaged that a total of 30 topics should be covered within the period of 122 days. The first part of the training lasted from February to June last year, whereas the second part began in October. Our plan was that the experts from Kolubara should learn about the preparation of a geological model, in which we had the help of the consultant and the professors of the Faculty of Mining and Geology. This model will be an integral part of the package C1, and the selected contractor will shape it into a mining i.e. technological model – Dr Daničić explains. The presentation of the geological model should be attended by the management of “Kolubara“ and the EPS. After this, it has been planned that the three-day training should be held in four more rounds in the first half of the year. Daničić believes that the greatest success of the training is the fact that the experts from Kolubara started to acquire not only knowledge, but also a new way of thinking. At the very beginning, there was resistance to the new system, considering that, although in a much simpler way, the task of coal quality management is performed in Kolubara daily, so to say, only on the basis of the skill and personal experience of the people doing this responsible job. Listening to German experiences in the coal quality management process, as well as to the lectures of the professors of the Faculty of Geology and Mining, during the several-month work, the employees understood the advantages of introducing such system and they started thinking differently, which had precisely been our goal. We insisted that the range of people going through the training be as wide as possible, so that we could have a sufficient number of specialists familiar with the new system and a bigger choice during the appointment of new staff – Daničić explains. It is expected that, with the reorganization which will be carried out within the EPS in the first half of the year, a new scheme should also be prepared, this scheme covering the entire coal quality control system. The contract with Sandvik has been signed and it will come into force after the bank has made the advance payment to the contractor, which, according to expectations, should happen by the end of March. After the activation of the contract, the deadline for project completion amounts to 27 months. The very complex coal homogenization system has already been running smoothly in open pit mines in Europe. As explained by Dr Daničić, the good side to the fact that Kolubara is introducing this system now is the possibility of applying all existing experiences. This means that the coal quality management which is to be implemented in Kolubara will be one of the most modern.